Jon Favreau will be directing the A Night At The Museum- inspired film, which will presumably feature fewer dinosaurs and more mice. Disney is taking its cinematic re-imagining of its attractions one step further, and is developing a movie about Orlando's Magic Kingdom at large. 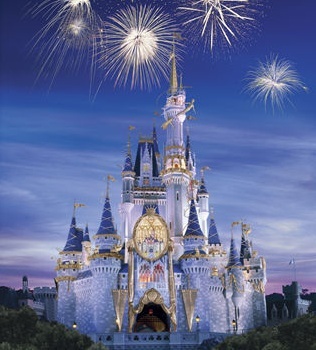 Tentatively titled The Magic Kingdom, the film is described as a Night at the Museum- type action-adventure romp. HitFix is reporting the Jon Favreau has been signed to direct; Favreau's previous directorial ventures include Iron Man and Iron Man 2, Elf, and the upcoming Cowboys and Aliens. Besides filming the absolute best dream I ever had, Disney obviously stands to gain a ridiculous amount in cross-promotion here. It is, however, bound to hit a roadblock of their own manufacture: cross-branding. With films of attractions such as Pirates of the Caribbean, Jungle Cruise, The Haunted Mansion, and The Enchanted Tiki Room either already made or scheduled to be, Disney runs the risk of over-saturating its franchises. This does bode well, however, for attractions based on classic animated films, such as Dumbo the Flying Elephant, The Many Adventures of Winnie the Pooh, and Peter Pan's Flight; I would love to see some two-dimensional Who Framed Roger Rabbit? characters featured in the film. The only thing we know for certain is that there will be some frightening sequences; there's no other way to tackle It's a Small World.